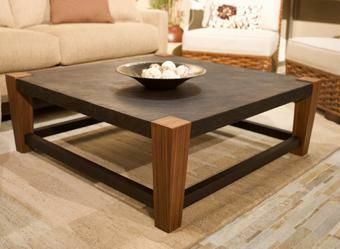 A fusion of rustic contemporary and asian design influences make this coffee table a beautiful and functional center piece for many interiors. 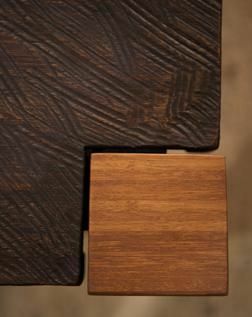 The top is our special "Tooled Ebano" texture and color applied to the carbonized bamboo, yielding a unique and rich rustic/weathered appearance. 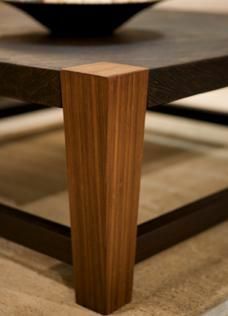 Legs are carbonized bamboo. Other wood species, color treatments available. Dimensions: Standard sizes available: 48" x 48", 42" x 42", 38" x 38". Other custom dimensions available.